The Occupational Safety and Health Administration (OSHA) enacted new legislation, and it will certainly impact the tree care industry. Trimmers, pruners and other workers are debating if the new OSHA rules are workable. Issued on April 1, the new “Vertical Standard” rules are designed to create safer working conditions for aerial lift workers and other employees in booms – basically, anyone who is elevated above the ground in their job. The Tree Care Industry Association was at the special OSHA meeting, because two specific areas of the new law hold great interest: the use of chain saws and fall protection in an aerial lift. For chain saw use, the new rule prohibits drop starting a chain saw from an aerial lift bucket. The updated rule is in line with Logging Standards, but the tree care industry usually doesn’t follow typical logging rules. Also, OSHA made a final rule for the 1926 Subpart M requirements. This fall protection update requires workers to use a body belt in a “work restraint” system preventing any fall, or to use a full body harness and lanyard that restricts “free fall” to six feet or less and is fixed to prevent contact with any lower level. Because tree trimmers spend time above power lines and conductors, the new law should prevent injuries and fatalities. The Vertical Standards can be challenged for up to 60 days from issue by a Petition for Review in the US Court of Appeals. 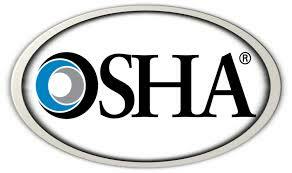 Expect more debate on these new OSHA rules – and stay tuned to our blog to receive further updates. The new OSHA guidelines on chain saw use and fall protection are a great example of how you and your company need to stay current on ever-changing standards. And at CertifyMeOnline.net, our main focus is to stay one step ahead of OSHA. It’s hard enough just running a business – you don’t need the hassle or headaches involved with boring paperwork and the like. Give us a ring at (602) 277-0615, or go to our contact page for more information on CMO. We’re ready to keep your business OSHA compliant today! We appreciate your interest in CertifyMeOnline.net. Thanks again for stopping by! This entry was posted in Aerial Lift Training on May 20, 2014 by admin.